Electrocutions and electrical shock accidents can cause debilitating injuries to any person, and these types of incidents often result in death. In many cases, electrocution accidents can be prevented by following basic safety practices and guidelines. When someone fails to take the necessary steps to prevent an accident, the consequences can be life-altering. The injuries typically suffered by an electrocution victim can easily result in thousands of dollars in medical treatment costs, lost time from work, permanent injuries, and other damages. Washington state law permits victims of negligence to pursue a tort claim against the party or entity responsible for their injuries. An experienced attorney may help increase the chances of a successful resolution to your injury case. How Do Electrocution Accidents Happen? 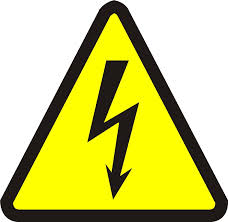 Contact with strong electrical current can be potentially dangerous to a human being—causing serious injury or death. The magnitude of the electrical current and the location on the body where contact is made has a huge impact on the potential for harm. Electrocution victims often have no way to remove themselves from the situation since alternating currents can cause involuntary movements, convulsions, or paralysis. If another person attempts to help the victim, they will likely be injured or killed when the current passes through the victim's body and into the body of the rescuer. If electrocution results from a defective or faulty product or device, victims may be able to pursue legal claims against an equipment or product manufacturer for defects which resulted in the power surge. Those injured by electrical current may have potential claims against a responsible business or governmental entity. More severe injuries are likely to result in more serious and intensive medical treatment, which can leave victims and their families with costly medical bills and other forms of financial loss. Washington state law sets a strict time limit on the amount of time that accident victims have to pursue a personal injury claim, so it's important that you protect your legal rights and consult with an attorney as soon as possible. Identifying the person or entity responsible for causing an electrocution accident and proving that person or entity was negligent are important components to any successful personal injury claim. Our attorneys use these investigations to determine the source of financial recovery - typically in the form of a liability insurance policy - that may cover the victim's damages. It is difficult to pursue or successfully resolve a personal injury claim without following the necessary steps and ensuring that the responsible party is identified and carries an insurance policy that can provide coverage to the victim. The award-winning legal team at Davis Law Group have helped accident victims with this process for more than 20 years. The award-winning legal team at Davis Law Group has helped injured victims of serious accidents get the compensation they deserve for more than 20 years. Our attorneys have handled some of the most serious personal injury cases in Washington and have an excellent track record of success. We will review your personal injury case for free to help you better understand your legal rights and determine whether it's in your best interests to hire an experienced personal injury attorney for your case. If we believe we can improve the chances of a successful outcome, we'll meet with you for a free legal consultation to discuss your case in greater detail and explain how we can help. Call our office in Seattle at (206) 727-4000 or use the confidential contact form on this page to have your case reviewed by our legal team.